I have tried on several occasions to cook a frozen pizza in the oven an I can’t seem to make it happen without burnin it to hell. I have a 2018 Catalina. The oven is a single burner that runs down the middle of the oven. I have bought an oven thermometer,, tried it on the rack, on a pan. The only thing I haven’t tried is a stone. Anyone have any advice. It’s a nice quick lunch meal between float trips but I can’t make it work. Get a stone. It makes all of the difference. Stone works great, so does the grill. Many people use the stones or unglazed tiles, but they are subject to breaking. I put a sheet of 1/8" aluminum, using bolts and nuts as standoffs from the oven floor (about 1/2") and leaving about a 3/4" clearance around from the oven walls. It works great, I think better than my home oven. Perfect biscuits, same brown on top and bottom. We had a lady in our church who worked at a Freschetta Pizza factory..
she would give us pizza by the case load. 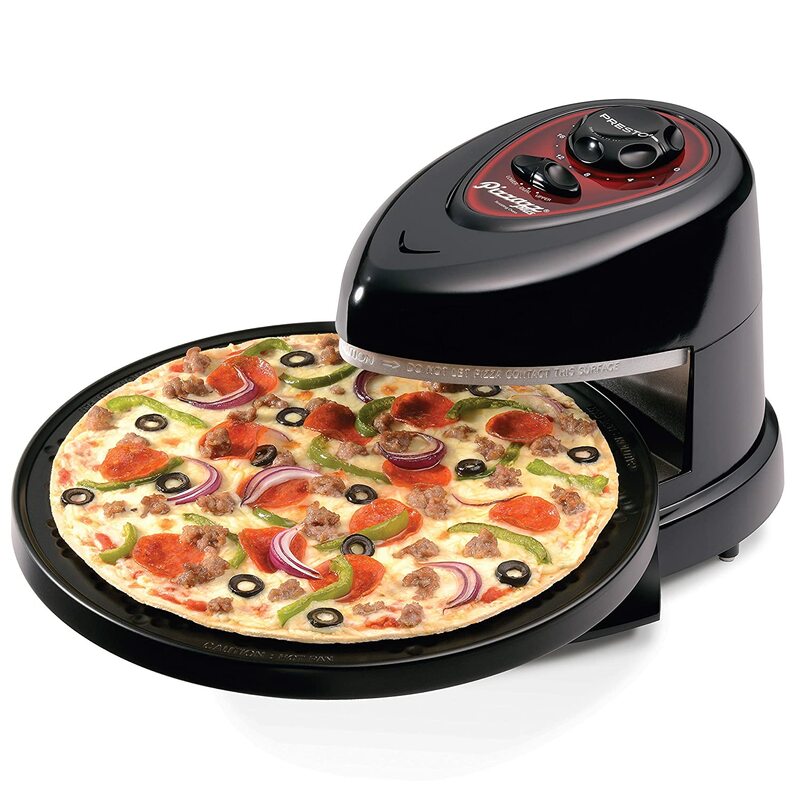 We would have all 4 of the Presto Pizzaz cookers going to supply pizza for the church youth group during parties. I love a man who thinks outside the box.! I bought a rectangular pizza stone and trimmed it to fit inside the oven leaving all the ventilation open. I recenter it when I light the pilot light. Works pretty well. I do like the idea of the sheet of aluminum, too.